The Auction Hall is Here! Auction Hall Added to the Game! Now you are empowered to sell and buy items more conveniently. 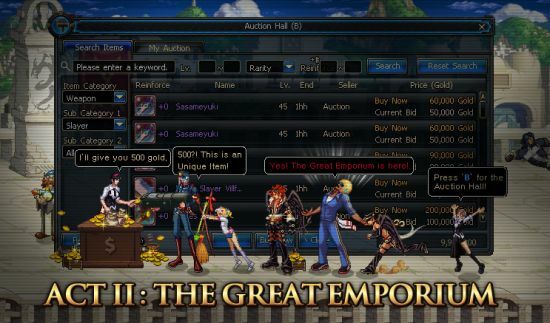 The Auction Hall is now in the game. The hot key for the Auction Hall is "B". Get in game and check it out. And from now until August 3rd , we have discount the usual Auction service fee of 5% down to a fantastically low 3%. Start shopping for what you need! » Register Here for Auction House!